The Kansas Bureau of Investigation (KBI) is accepting applications for multiple classified Special Agent positions. 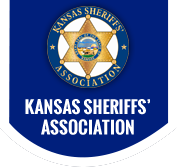 The positions will be assigned throughout the state of Kansas within the Field Investigations Division and the Special Operations Division regional field units. OVERVIEW: Special Agent position will have an overall investigative focus on major violent crimes, sexual and violent crimes against children, and/or on drug trafficking organizations. Current law enforcement certification and six (6) years law enforcement experience. Education may be substituted for experience as determined relevant by the agency. PREFERRED REQUIREMENTS: The KBI will give preference to candidates with two (2) years felony-level investigative experience, particularly in the areas of major violent crimes, crimes against children, cyber crimes, and/or drug trafficking organizations. Preference will also be given to candidates who have a bachelor’s degree or graduate degree from an accredited college or university. OTHER REQUIREMENTS: Candidates are subject to a pre-employment process to include a physical ability assessment, polygraph examination, drug-screening test, physical examination, psychological testing and a complete background investigation, including reference check of past and present employers. The The pre-employment polygraph and background investigation process will be waived for current KBI personnel who have previously completed the requirements. STEP 2: Each applicant applying for a State of Kansas job vacancy must obtain a valid Kansas Certificate of Tax Clearance by accessing the Kansas Department of Revenue website at http://www.ksrevenue.org/taxclearance.html. A Tax Clearance is a comprehensive tax account review to determine and ensure that an individual's account is compliant with all primary Kansas Tax Laws. A Tax Clearance expires every 90 days. All applicants, including current state employees, are responsible for submitting a valid certificate with all other application materials to the hiring agency. This is in accordance with Executive Order 2004-03. If you need assistance with the tax clearance, please contact 785-296-3199. After your application is evaluated and ranked, you may be referred to the hiring manager for further consideration and possible interview. You will be notified of the outcome after the selection process is complete. You may call or email the recruiter contact listed to inquire about your application. Former military personnel or their spouse that have been verified as a "veteran" under K.S.A. 73-201 will receive an interview if they meet the competency factors of the position, including any preferred selection criteria established in accordance with K.A.R. 1-6-3. The veterans' preference laws do not guarantee the veteran a job. Positions are filled with the best qualified candidate as determined by the hiring manager. See jobs.ks.gov for additional Veterans' Preference Information.